Bad Lip Reading, famous for their spoof videos on films, TV shows, songs, sports, and news broadcasts where they overdub the original content to put their own wacky spin on the dialogue, just dropped a video on The Force Awakens. The video has only been up for 3 hours on their YouTube channel and is currently the #1 trending video with over 230,000 views. Mark Hamill lends his vocal talent to the spoof video and delivers a killer Han Solo impersonation. For me, this is right up there with Adam Driver’s famous Undercover Boss skit on SNL (where Kylo Ren becomes Matt the radar technician to spy on the goings on at Starkiller Base). I have been a fan of Bad Lip Reading ever since the 2012 election and this effort is, in my opinion, their best one yet. 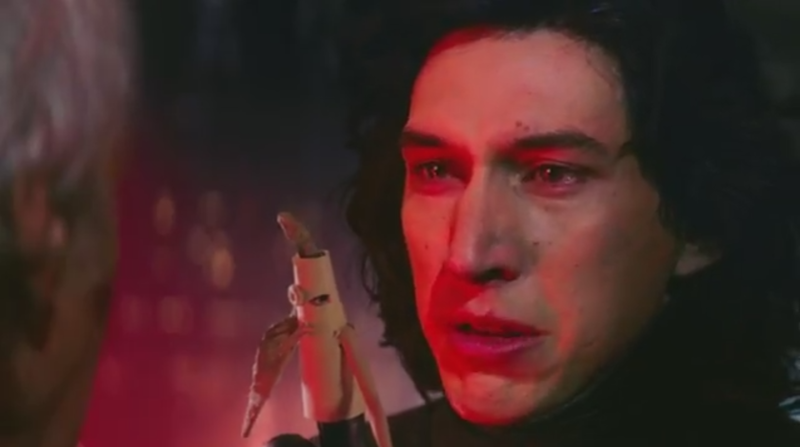 What did it for me here were the Kylo Ren bits – which somehow made him creepier than he was in the actual film. It was nice to see the little nod to Carrie Fisher as well. What did you think of the video? Share your thoughts in the comments below.